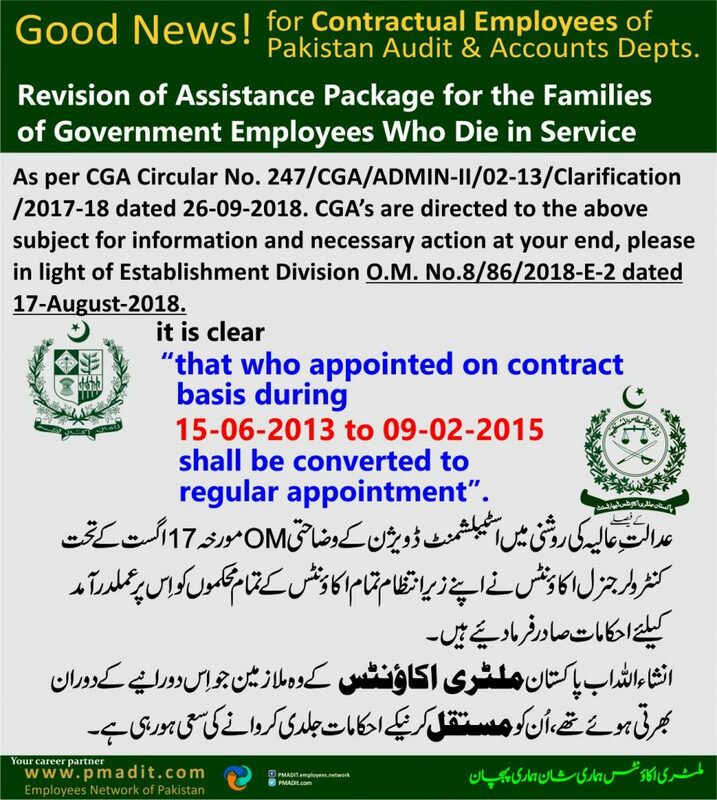 The undersigned is directed to enclose herewith a copy of Establishment Division Notification / O.M. No.8/86/2018-E-2 dated 17-August-2018 on the above subject for information and necessary action at your end, please. 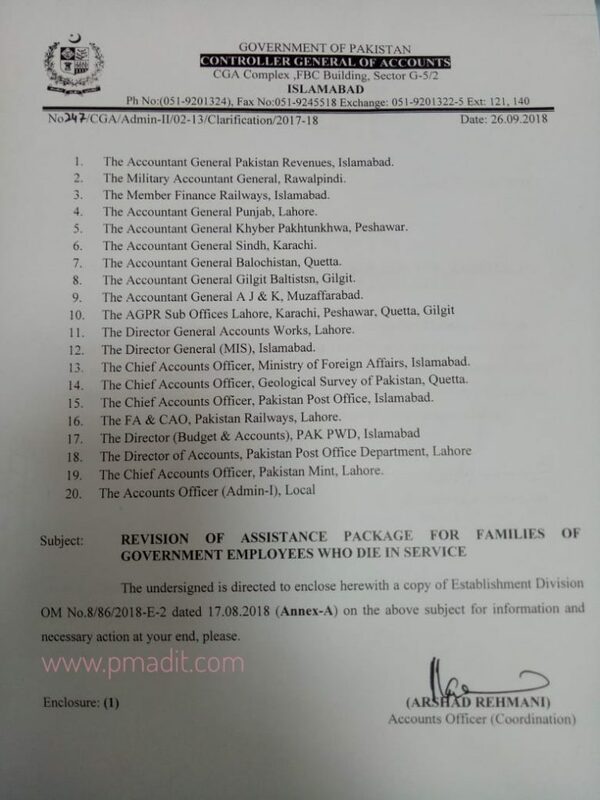 As per Establishment Division O.M dated 17-August-2018 on the above subject and to say that all benefits of PM’s Assistance Package 2014 are applicable to the period of held in abeyance from 15-06-2013 to 09-02-2015, it is clear “that who appointed on contract basis during 15-06-2013 to 09-02-2015 shall be converted to regular appointment”.